Whalley and Read were due to resume their Ramsbottom Cup Final at Station Road last night, as they looked to complete the showpiece occasion at the fourth attempt. The fibal got underway on Sunday as scheduled, with Whalley batting first. 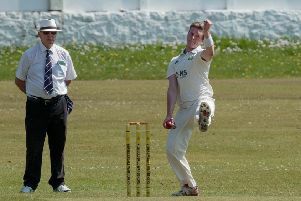 The hosts clocked up 132-9 in their 40 overs, and Read stood at 33-2 after seven overs in reply, before the rain made no further play possible on the day. Having made a start, the sides were due to resume on Monday night, but they were unable to get underway due to the wet conditions. They tried again a third time on Tuesday night, but were again thwarted by the unseasonal weather. Whalley are back in league action on Saturday when they entertain Oswaldtwistle Immanuel, while Read host Euxton at Whalley Road. * A date has been set for the Ribblesdale League’s Twenty20 Finals Day. The competition will reach a conclusion on Sunday, August 27th at Settle. At 10 a.m., Salesbury will take on Barnoldswick, and then at 1 p.m., Whalley face the hosts, with the winners meeting in the final.